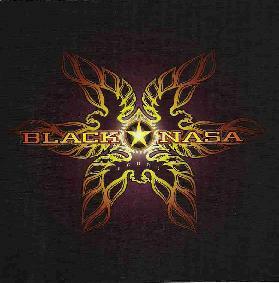 Black Nasa is, or maybe I should say was, the side project of Chris Kosnik of the Atomic Bitchwax, as TAB, is maybe not his main band anymore. Shababdoo opens the CD and is the only psych rock track on the CD and is an instrumental, very much like the Bitchwax. Colony starts with a mysterious intro and slowly develops into a more groovy pop song. Kamikaze is quite similar in nature to Colony but has a slide guitar intro. Some would say this is clearly influenced by QOTSA for sure! Light is a really great song. The vocals remind me of Ozzy a bit and the phased out guitar with slide is very cool. Thanks Anyway is a very short 2½ minute foot stomping rocker. Hut Nut starts as a cool acoustic bluesy number but rocks out. I liked this instrumental song a lot! Boozer again features the slide guitar and is a pretty straight on rocker. Talking Candles is a really cool song with dark moods. New World is like old school AC/DC meets ZZ Top and is one of the radio friendly songs. The CD ends with the strange rap thing, You Be Illin’. The CD is packed with short nuggets of ROCK with a more commercial edge. There are still some heavier songs and instrumentals that remind one of TAB. No denying it! There are a few outstanding songs on the CD and if you liked the first Black Nasa CD, check this one out! For more information you can visit the Meteor City web site at: http://www.meteorcity.com. Contact via snail mail c/o Meteor City; PO Box 40322; Albuquerque, NM 87196.